With the “Buy to Let” formula you will only have to think about how often you want to come on holiday and how much profit you want to make; we will deal with everything else. Among our commitments is to periodically check the condition of the property and communicating with you when necessary. Interestingly the host is particularly attentive in providing the perfect welcome for guests- ensuring a warm home in winter months, well stocked cupboards and transfer to the property for those using public transport. In Tuscany – since 1997 have specialised in the rental of apartments, villas and hotels ensuring the perfect holiday for thousands of clients. 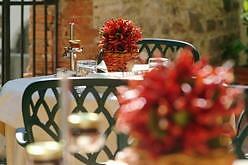 Holiday in Tuscany – Holidayintuscany.it is the new web-site of Euro Casa S.r.l., a modern and efficient family business, which has been founded around 20 years ago with the aim of showing people even the lesser famous areas of the two regions which have always been the “green heart of Italy”: TUSCANY and UMBRIA. L’Erba Cresce – a company established to guarantee the management of every type of property. Their services include checking the complex, heating the homes in winter, maintaining the swimming pool, gardens and access roads in anticipation of the clients’ arrival.